A Christian is one who believes on Jesus Christ as Lord. With this statement every evangelical agrees. Indeed there would appear to be nothing else to do, since the New Testament is crystal clear about the matter. This first acknowledgement of Christ as Lord and Saviour is usually followed by baptism and membership in a Protestant church….A few Christians shy away from organized religion, but the vast majority, while they recognize the imperfections of the churches, nevertheless feel that they can serve their Lord better in the church than out of it. There is, however, one serious flaw in all this: it is that many – would I overstate the case if I said the majority? – of those who confess their faith in Christ and enter into association with the community of believers have little joy in their hearts, no peace in their minds, and from all external appearances are no better morally than the ordinary educated citizen who take no interest whatever in religion and, of course, who makes no profession of Christianity. Why is this? I believe it is the result of an inadequate concept of Christianity and an imperfect understanding of the revolutionary character of Christian discipleship. ……….True faith brings a spiritual and moral transformation and an inward witness that cannot be mistaken. These come when we stop believing in belief and start believing in the Lord Jesus Christ indeed. True faith is not passive but active. It requires that we meet certain conditions, that we allow the teachings of Christ to dominate our total lives from the moment we believe. The man of saving faith must be willing to be different from others. The effort to enjoy the benefits of redemption while enmeshed in the world is futile. We must choose one or the other; and faith quickly makes its choice, one from which there is no retreat. ………The regenerated soul feels no more at home in the world than Abraham felt when he left Ur of the Chaldees and set out for the land of promise. ……..Suddenly, or slowly but surely, he will develop a new pattern of life. Old things will pass away and behold, all things will become new, first inwardly and then outwardly; for the change within him will soon begin to express itself by corresponding changes in his manner of living. The transformation will show itself in many ways and his former friends will begin to worry about him……………. The genuinely renewed man will have a new life center………Things he once held to be of value may suddenly lose all their attraction for him and he may even hate some things he formerly loved. The man who recoils from this revolutionary kind of Christianity is retreating before the cross. But thousands do so retreat, and they try to make things right by seeking baptism and church membership. No wonder they are dissatisfied. – Take from Man: The Dwelling Place of God, pages 60-63, Christian Publications: Harrisburg, PA 1966. This was published three years after Tozer’s death. Does it make you think about the way we disciple new believers in our churches today? I would suggest that you compare Tozer’s thoughts about discipleship and living under the Lordship of Jesus Christ with Jonathan Edwards and his “Resolutions.” How do we live as growing, sanctified believers who are in the world, but not of the world? “God being Who He is must always be sought for Himself, never as a means toward something else. Whoever seeks other objects and not God is on his own; he may obtain those objects if he is able, but he will never have God. God is never found accidently. ‘Ye shall seek me, and find me, when ye shall search for me with all your heart’ (Jer. 29:13). Whoever seeds God as a means toward desired ends will not find God. The mighty God, the maker of heaven and earth, will not be one of many treasures, not even the chief of all treasures. He will be all in all or He will be nothing. God will not be used. His mercy and grace are infinite and His patient understanding is beyond measure, but He will not aid men in their selfish striving after personal gain. He will not help men to attain ends which, when attained, usurp the place He by every right should hold in their interest and affection. Yet popular Christianity has as one of its most effective talking points the idea that God exists to help people to get ahead in this world. The God of the poor has become the God of an affluent society. Christ no longer refuses to be a judge or a divider between money hungry brothers. He can now be persuaded to assist the brother that has accepted Him to get the better of the brother who has not………….. The teaching of the Bible is that God is Himself the end for which man was created. ‘Whom have I in heaven but thee?’ cried the psalmist, ‘and there is none upon earth that I desire beside thee’ (Psalm 73:25). The first and greatest commandment is to love God with every power of our entire being. Where love like that exists there can be no place for a second object. If we love God as much as we should surely we cannot dream of a loved object beyond Him which He might help us to obtain. Being who He is, God is to be loved for His own sake. He is the reason for our loving Him, just as He is the reason for His loving us and for every other act He has performed, is performing and will perform world without end. God’s primary reason for everything is His own good pleasure. The search for secondary reasons is gratuitous and mostly futile.” – Taken from Man: the Dwelling Place of God, pages 56-59. There is much more in this short chapter. Hopefully this excerpt will lead us to some deep thinking about God and our relationship with Him and to some practical servant living. 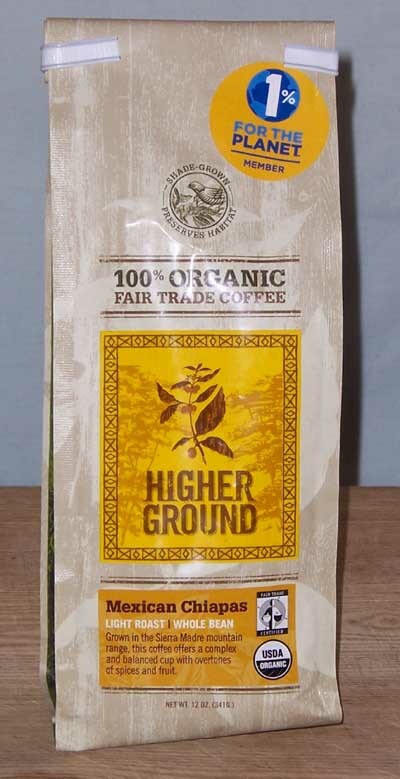 We tried coffee from Higher Ground (www.highergroundroasters.com) once before when we visited The Hub Coffee Shop. We were looking forward to brewing and tasting this Mexican Chiapas. It is grown in the Sierra Madre mountain range. It is described as being a complex and balanced cup with overtones of spices and fruit. It has a light to medium body with mild acidity. It is a Fair Trade organic coffee also. We don’t usually drink light roasts but I was immediately impressed with the aroma when I opened the bag. I was reminded of peanut butter. It has a very nutty aroma which seemed to be enhanced after it was ground. 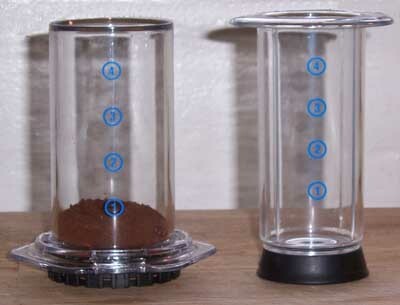 The auto-drip was up for use first and this light coffee gives off a good aroma. It does have a sweet, bright taste which hits the tip of your tongue and then moves over the tongue. The body is light and the taste is good. Two thumbs up. 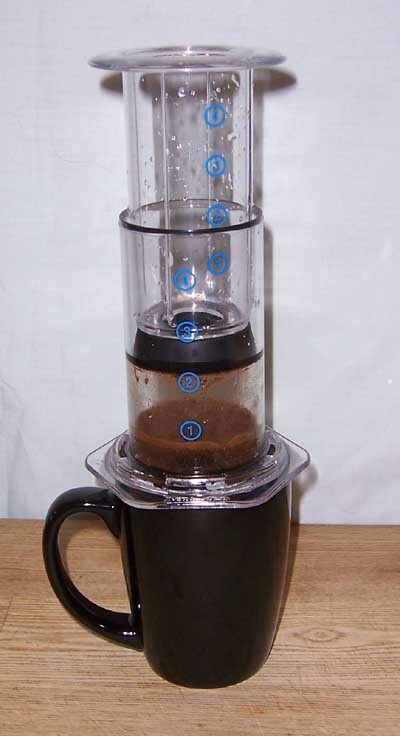 The next brewer we used was the French Press. Both of us liked the mildly stronger taste here. The body is still light and there seemed to be a tangy aftertaste. For breakfast Kim had organic Jewish Rye bread toasted with peanut butter and orange marmalade. She thought the rye flavor, nuttiness and citrus sweetness were enhanced by the coffee. I just thought it tasted good. Two thumbs up again. Then we brewed the Chiapas in the Chemex coffeemaker. I must say I like the smell of these beans. I like peanut butter and that is what the aroma reminds me of. It seems when we use the Chemex that I talk about what a clean cup of coffee we get. The body is light and the taste is slightly nutty and sweet. No sweetener or cream is needed with this coffee. Two thumbs up. 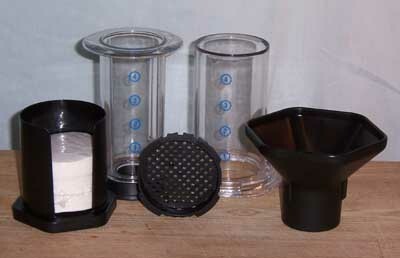 Then Kim tried the coffee brewed in an AeroPress brewer. All the flavors we liked were there and the coffee was much stronger and not bitter at all. She thought it paired nicely with an Asian dish she made and that it made the pickled radish stand out. Overall we were surprised at how much we liked this light roast Mexican Chiapas. We tend to go for darker roasts but the aroma, taste and feel of this coffee makes for a good tasting experience. If you like light roasts or want to try one you can’t go wrong here. We recieved this coffee for free and offer objective feedback. Remember to stop and enjoy some coffee and conversation.